As SBI has released vacancies for Probationary Officers and the exam for SBI clerk is already scheduled on 23rd, 24th and 30th June 2018, we have started special classes based on the new pattern for the exam and here we are providing you the pdf of "Score 20 Marks In 10 Minutes In Maths In SBI PO/Clerk| Restart" Class held on our Youtube Channel. 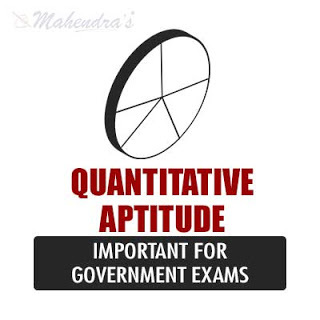 This pdf will also be helpful for your upcoming exams like IBPS PO, Clerk, RRBs and other competitive exams. You will be surely benefited with this pdf. We are determined to provide you the best content and wish success of all our students so, keep following us for the content based on the newest exam patterns and the most important questions for your exams.